After spending a week in Italy, they are BIG fans of all things dairy including lots of cheese and ice cream. I was pleased to see some dairy and gluten free ice cream shops, using rice or soy instead. With so many people noticing intolerances or allergies to dairy products the range of free from products is ever increasing. Milk alternatives, such as nut milks, have been well stocked for a long time but what is actually in them?! The second surprising factor is that Almond Milk can contain as little as 2% in almonds. As they need to retain the shelf life of these products many contain stabilisers and emulsifiers. 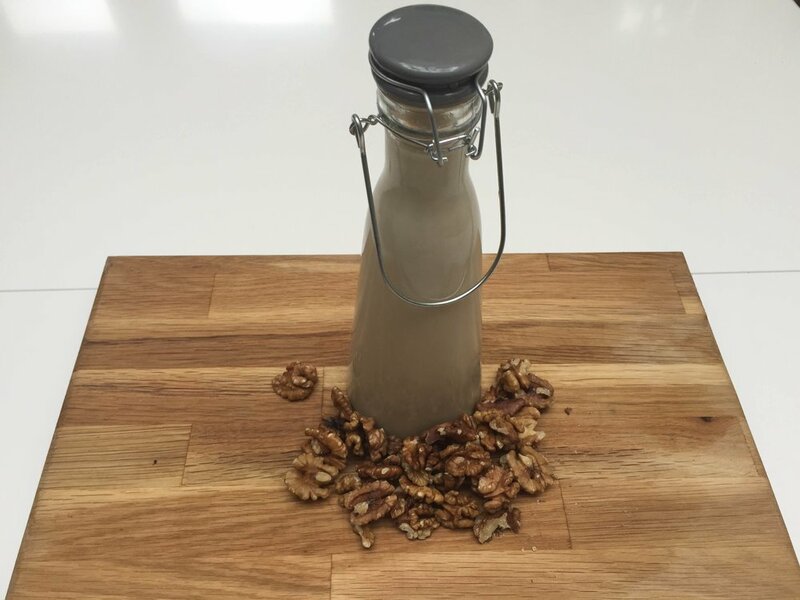 So this week I will look at different nut milk recipes and share them with you I have to say the homemade ones are much creamier and taste delicious, far better than the shop bought ones, with the added benefit of being good for you. Optional 3 dates – if you really do need a bit of natural sweetness then add these to your milk. 4- The remaining pulp can be used in smoothies, added to porridge or used in homemade granola. If you don’t have time to use straight away then you can always freeze. Health benefits of Walnuts: Well there are so many and I will focus on just a few which stand out to me! Walnuts are great for brain health and contain several neuroprotective compounds including vitamin E, omega 3 fats, folate, melatonin and antioxidants. They also contain l-arginine that is great for heart health.